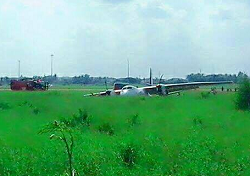 The MA-60 aircraft went off the runway at Vientiane Airport resulting in major damage. There were no reports about any injured persons. 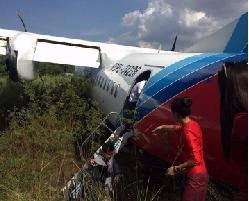 According ot local media reports, after landing on runway 13 the MA-60 turboprop aircraft veered to the side of the runway until it departed paved surface. The aircraft continued to run across soft ground until it came to rest in deep grassland about 100 meters offset to the main runway. It appears that all passengers and crewmembers managed to escape without serious injuries. At the time local weather conditions were good with nearly no wind and visibility more than 10 km. 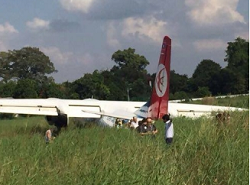 According to unconfirmed reports, the aircraft may have suffered engine failure during reverse propeller operations after touchdwn resulting in a loss of directional control. 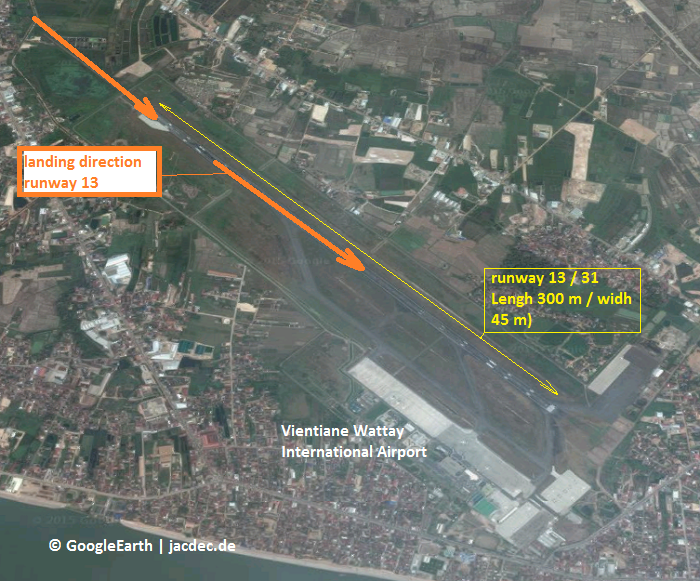 Vientiane Wattay International Airport (VLVT) is equipped with a single runway 13/ 31.